Having left in disgrace years earlier, a photographer returns home for her father's funeral. A strong contender for the most overused premise in modern cinema is the one where the protagonist returns home, having lived in enforced or self-imposed exile, and confronts home truths. 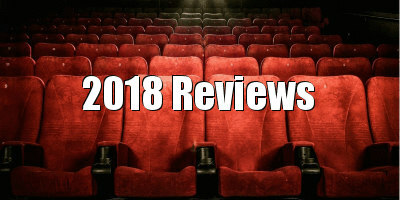 Admittedly, as worn out as this storyline is, it nevertheless continues to yield positive results, and in the past couple of years it's given us such quality dramas as Manchester By the Sea, 1985 and The Wild Pear Tree, and it continues to attract talented storytellers. 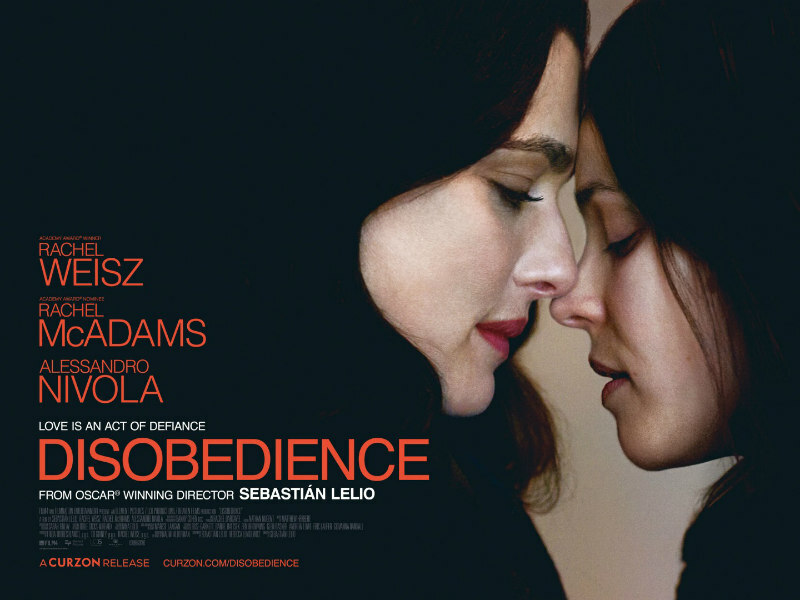 The acclaimed Chilean filmmaker Sebastián Lelio (Gloria; A Fantastic Woman) makes his English language debut with an adaptation of Naomi Alderman's novel Disobedience, which sees New York based photographer Ronit (Rachel Weisz) return to the Jewish Orthodox London community she left in disgrace as a young woman. It's yet another variation on the old 'difficult homecoming' conceit, but this time with a religious twist. The reason for Ronit's return is the death of her father, the head Rabbi of a corner of London populated largely by Jews of the Orthodox persuasion. Set to take over her father's role is Ronit's childhood friend Dovid (Alessandro Nivola), who is now married to Esti (Rachel McAdams). As younger women, Ronit and Esti were lovers, leading to Ronit's banishment when her father walked in on the pair in a compromising position. Having lived away from her community for so long, Ronit has become strong-willed and scornful of the religion she was born into, and she has no problem standing up to the elders of the community, who engage in a passive aggressive campaign of disapproval for the woman they exiled. Ronit's presence begins to have consequences for Dovid, who respects her right to mourn her father's passing and accepts her into his home, and for Esti when the pair succumb once again to their mutual attraction. Weisz is excellent here as a raging firebrand, metaphorically upturning tables in the temple as she forces Esti to confront the life she's found herself trapped in, and Nivola sells his character's internal conflict of weighing up his religion's instructions with his own human decency. The weak point in the triangle is McAdams, partly because her role feels under-developed, but also because it's a struggle to believe the WASPish actress could be a part of this community, especially in an ensemble of performers who otherwise hail from Jewish backgrounds. There's also a notable age gap between Weisz and McAdams (though both actresses look 10 years younger than their real ages), yet we're asked to believe they were lovers as younger women, which makes us wonder if perhaps Esti was underage at the time, an important point the film never addresses. Unlike last year's Yiddish language, New York set drama Menashe, a film set in a similar community, Disobedience fails to establishe a sense of place, and we never quite feel the weight of Ronit's returning here, though maybe Jews are simply less confrontational than their Christian and Islamic cousins might be in this scenario. The miscasting of McAdams means the rekindled romance never shines as brightly as Lelio would like it to, but it is sensitively handled, and a final moment of reconciliation between the three leads is authentic and affecting. Disobedience is in UK/ROI cinemas November 30th.